What’s going on at Herrick? 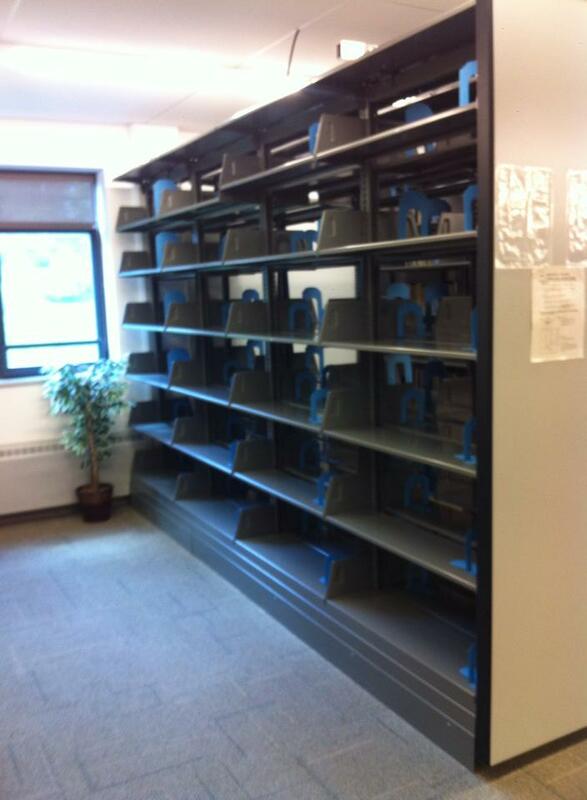 Why are there so many empty shelves? Where are those books going? What will be done with the space that becomes available? Part of the project involves moving most of Herrick’s art books to Scholes. Herrick built a collection of art books to meet a need in the distant past. 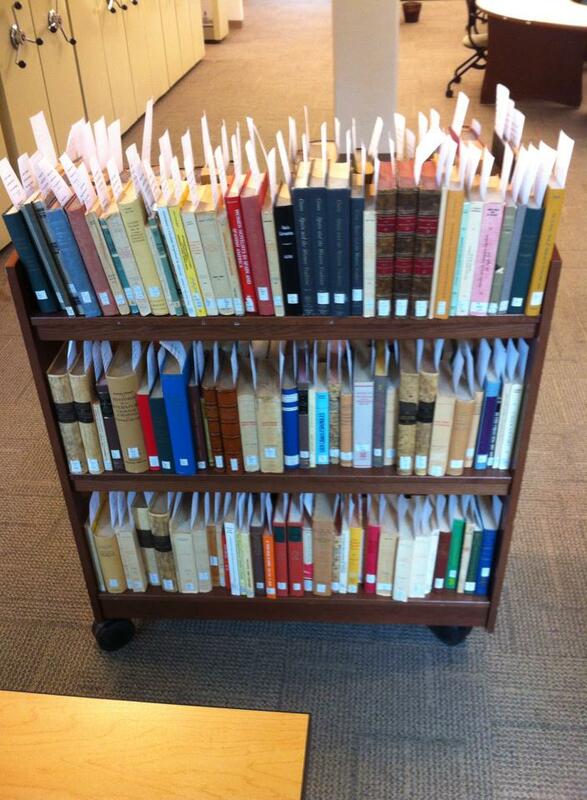 Now those books are joining the books in the Scholes collection to make art research just a little easier. This has been an ongoing project for several years. The other reason for all this activity is a re-evaluation of the entire library collection. It’s been many, many years since all the books in the library collection have been reviewed to see if they are still relevant and useful to AU students and faculty. 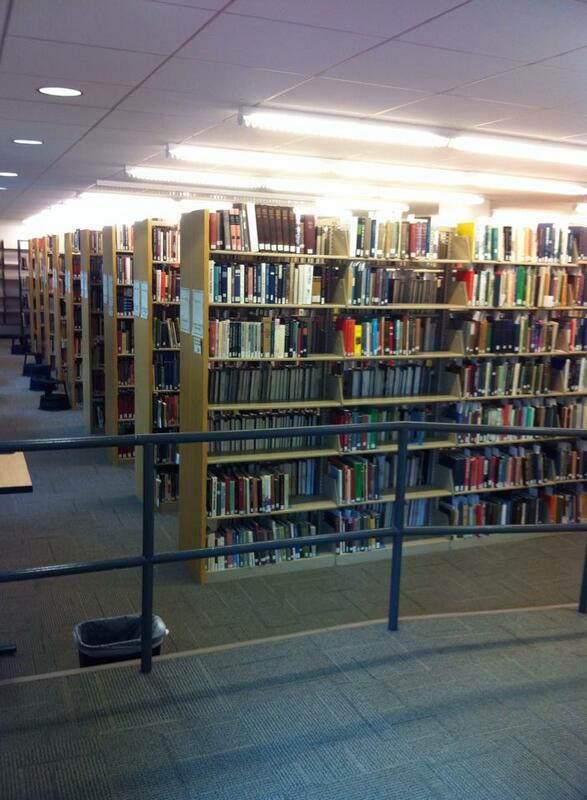 To start the evaluation process the library staff identifies older books that haven’t been used for 20 years or more. Then faculty members in each subject area evaluate the possible removals to ensure that we don’t lose important works in the subject areas which support our curricula, just because those books haven’t been used recently. The next step is to identify which books might be of use to others. We send many of the items we remove to Better World Books, which supports literacy initiatives in developing countries. They sell used books through their web site to fund those initiatives. So its a win-win situation. We feel better about the books leaving the library, because we know they may now get into the hands of someone who will use them. And literacy is something near and dear to our hearts, so we’re happy to support efforts to improve literacy world-wide. All of this evaluation and “slimming-down” of the collection will create a fair amount of new floor space — what will it be used for? The top floor of the east wing (next to Alumni Hall) is slated to be transformed into a new space for the Center for Academic Success and the Writing Center which will come together to create special areas for writing assistance, tutoring, testing and other services. When combined with the ITS HelpDesk and the library services already in place, it will make Herrick a “one-stop-shopping” location for academic support services. We’ve still got a lot of work to do before the Center can be created at Herrick. I want to give a shout out to the many faculty members who have volunteered their time to do this important review of the Herrick collection. THANKS!!! 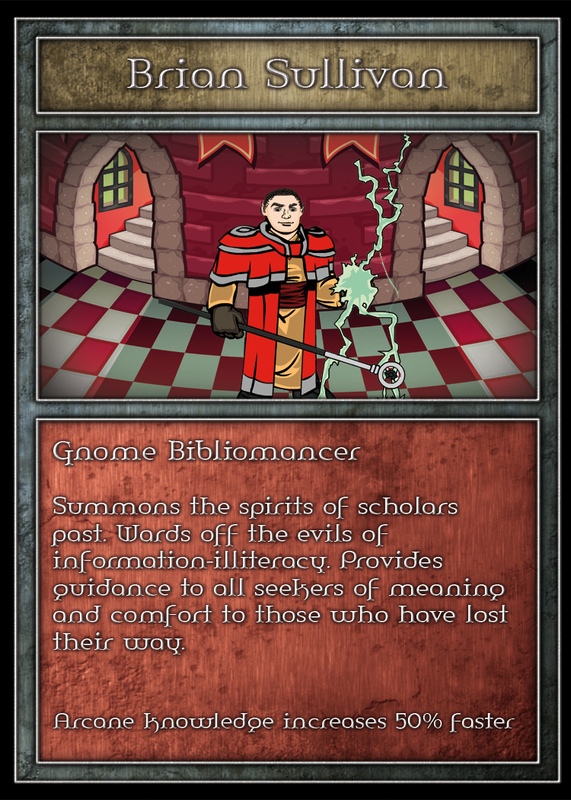 Brian, the Information Literacy Librarian at Herrick Library, has also become the Bibliomancer, a magic user committed to helping students find their way through the world of research and library skills. In more mundane terms, that means he plans and teaches many library instruction sessions. He’s also a subject specialist in Astronomy, English, Environmental Studies, Geology, History, Medieval Studies, Philosophy, Physics, Political Science, and Religion. Technology can be difficult to pin down, and it can be even harder to make different technologies work together. Fortunately, we have Ellen, the Technology Tamer and one of our two technology experts. 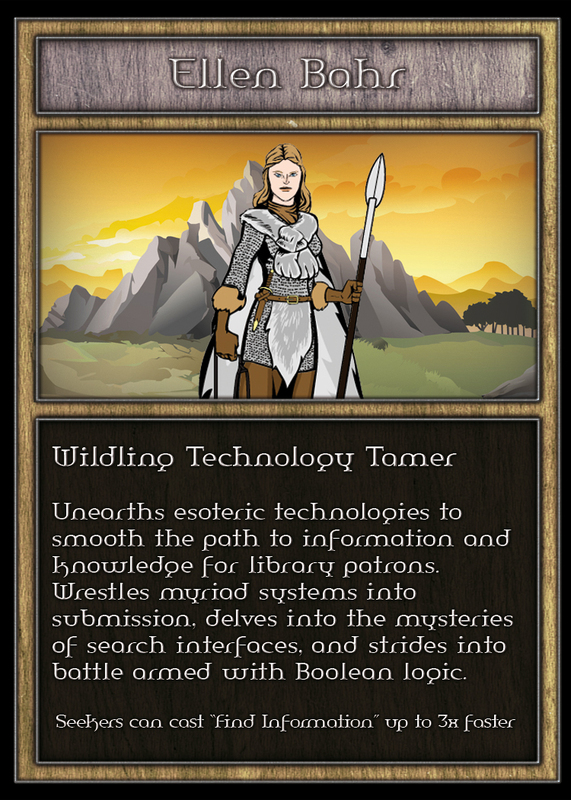 She forges new paths through the information wilderness by setting up and maintaining the software and programs needed for our search interfaces to work, among other things. Subject-wise, she specializes in Anthropology, Biology, Communications, Criminal Justice, Global Studies, Modern Languages, Psychology, School Psychology & Counseling, and Sociology. 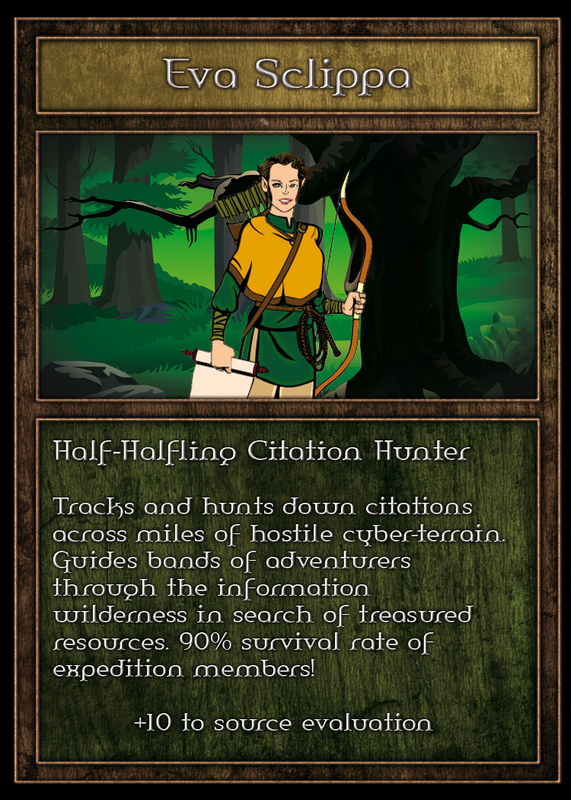 Where the Bibliomancer acts as a light in the dark to guide lost and confused students, the Citation Hunter leads expeditions–sometimes large classes, sometimes journeys with a single other soul–to assess and track down the best sources for a given topic. This can take the form of instruction sessions or one on one reference questions. And that 90% survival rate isn’t bad. Eva has a special interest in Art, Art History, Medieval and Early Modern Art, Medieval History, and Illuminated Manuscripts. Grappling with the library’s voluminous image collection and with ever-changing image technologies, John the Imagemaster is to visual resources as Ellen the Technology Tamer is to our information systems. John captures new images for the collection and tames them, leaving them orderly and easily accessible for library users. 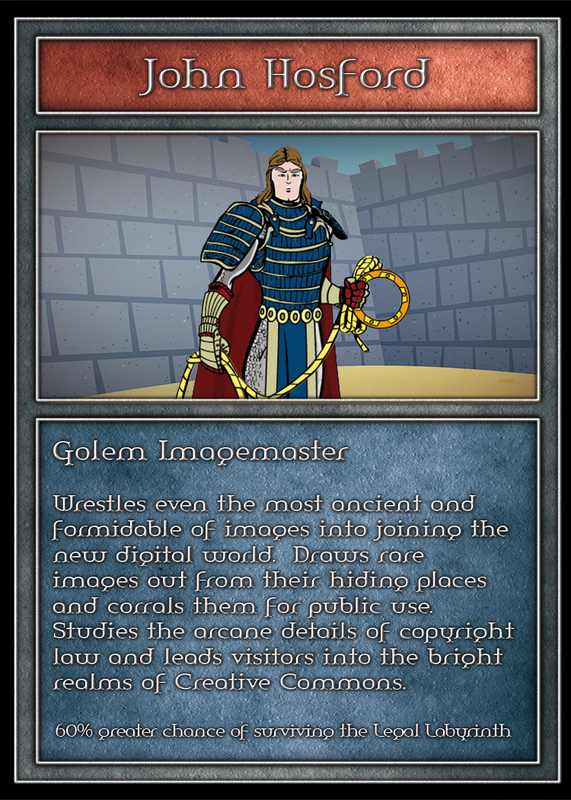 He can also provide guidance on the various features of image use, such as creating Power Point presentations, using ARTstor or MDID to find images, or dealing with citations and copyright. His subject area of expertise is Visual Resources. 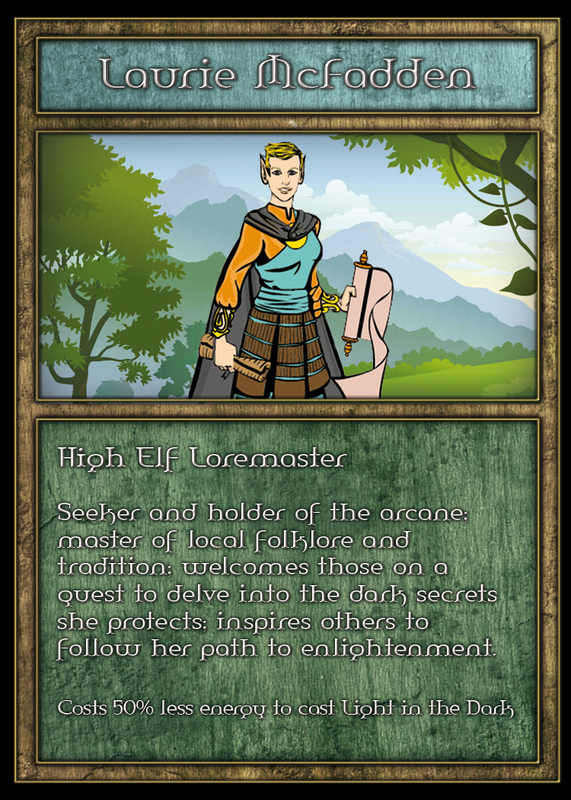 Whatever ancient lore or dark secrets reside in the history of this village and its scholars, Laurie the Loremaster has the keys to uncover them. She guards the archives, keeping the hallowed records safe from harm, and also easing the path for those who seek to learn their secrets. The tales of figures vanished in the mists of time still live on in her files. Laurie’s subject specialties are Athletic Training, Chemistry, Education, Gerontology, and Women’s Studies. 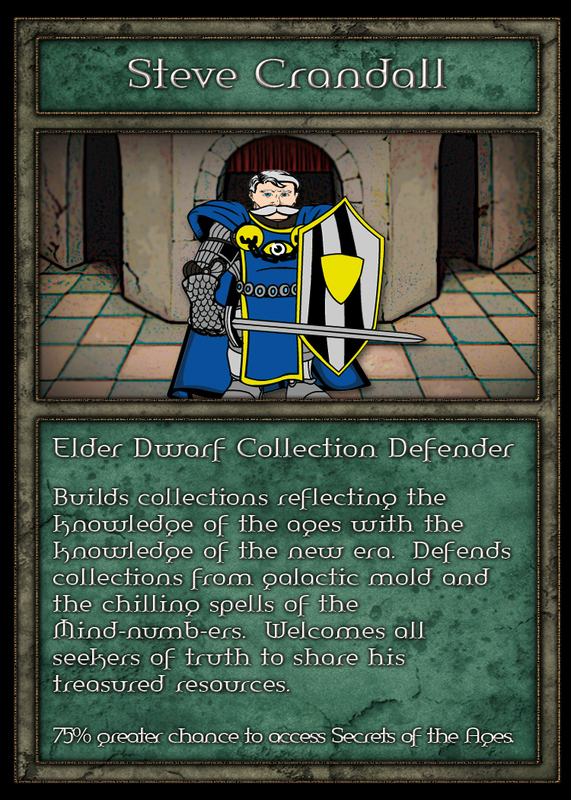 Someone has to build and protect the collections that these heroes navigate so deftly, and that someone is the Collection Defender. Steve manages the collection, ensuring both that it grows and flourishes, and that older and no longer relevant texts don’t gather dust on the shelves. 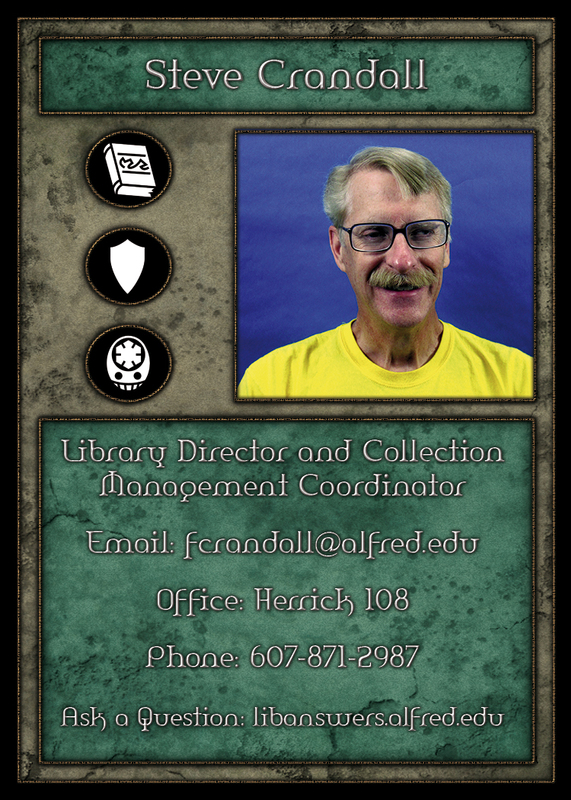 As Library Director, he is also our fearless leader. Steve specializes in the subject areas of Business, Dance, Mathematics, Music, and Theater. 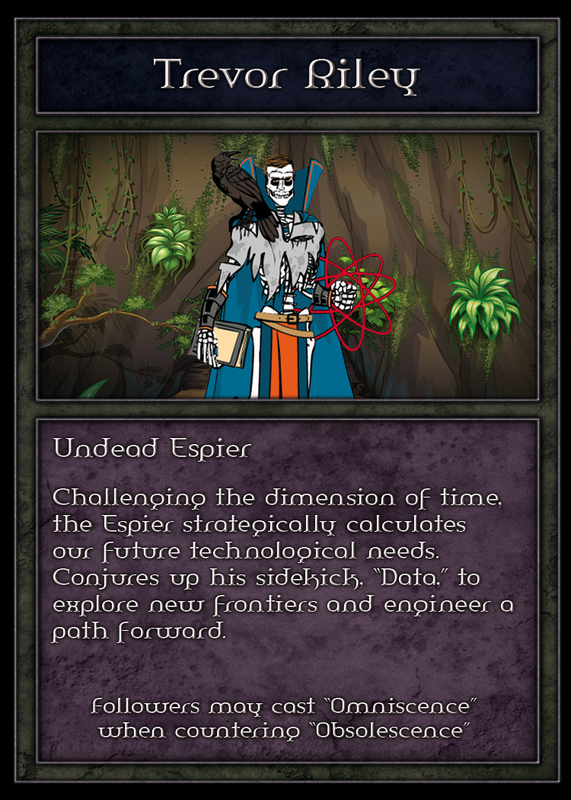 The newest member of our team, Undead Espier Trevor Riley gazes into the future, scrying to determine our upcoming technological needs. With his sidekick “Data” and the powers of technomancy, he then works to alter our current technology, honing it to meet the requirements of the days to come. 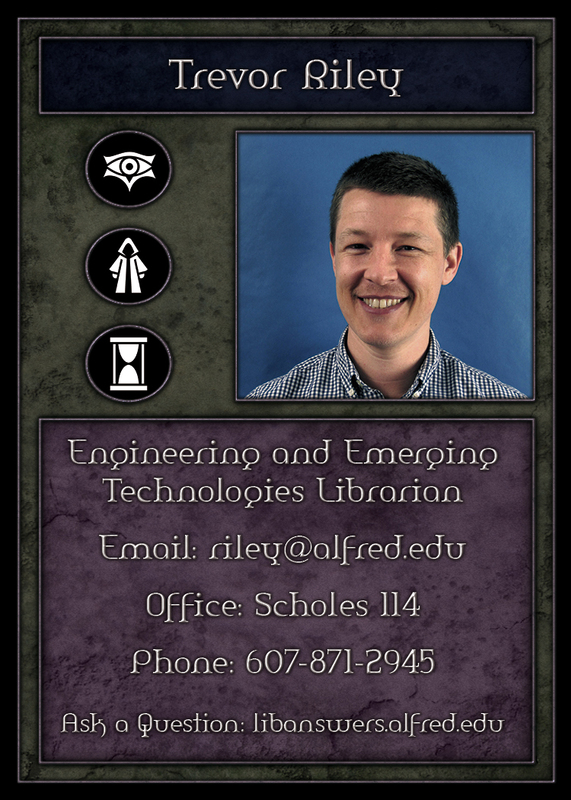 As the Engineering Librarian and subject specialist, he is also the go-to librarian for Engineering students with research questions. First off, find out who your personal librarian is here! 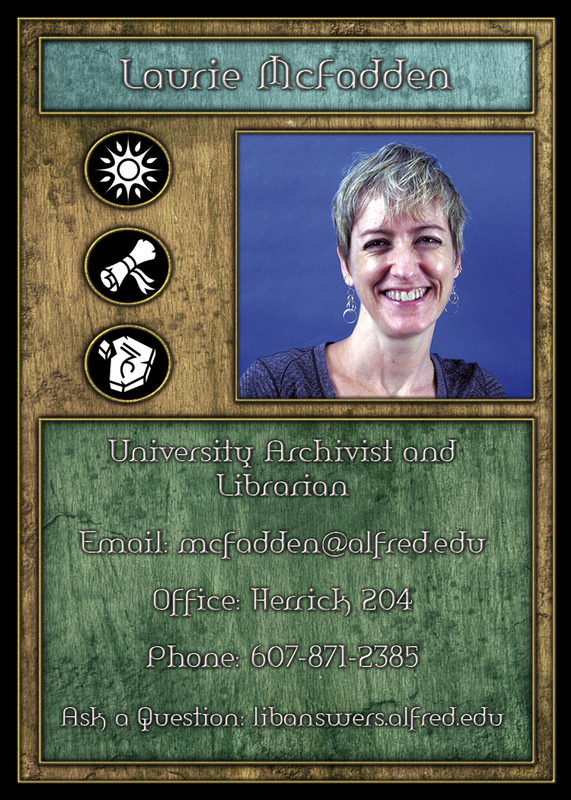 If you’re an incoming freshman, you’ll be receiving a packet in your campus mailbox at the start of the year telling you who your personal librarian is (and including a trading card of that librarian in character). You can also pick up this information at freshman orientation on August 21st. 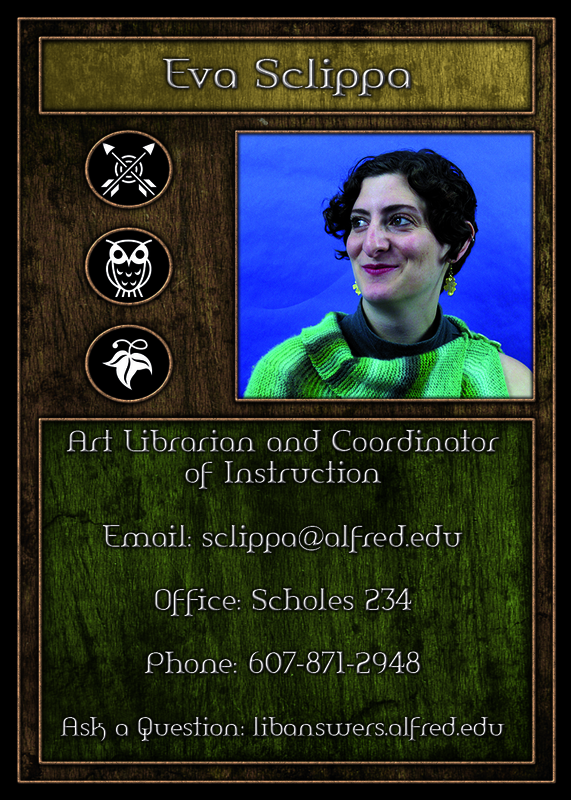 If you’re not an incoming freshman and are sad that you haven’t been assigned a librarian of your very own, never fear! 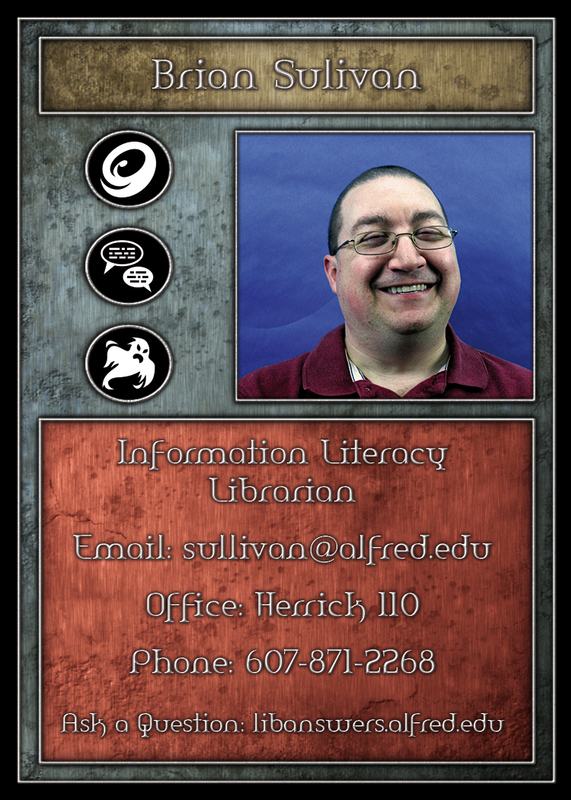 Any of these adventurers would be happy to help you, or even to serve as your library needs contact point for the rest of your Alfred University career. Just find someone whose subject specialties match your needs and drop them a line using the contact information listed here. You might not find a gigantic treasure chest full of loot, but your time as a student will probably be a LOT easier. Hope to see you at orientation!